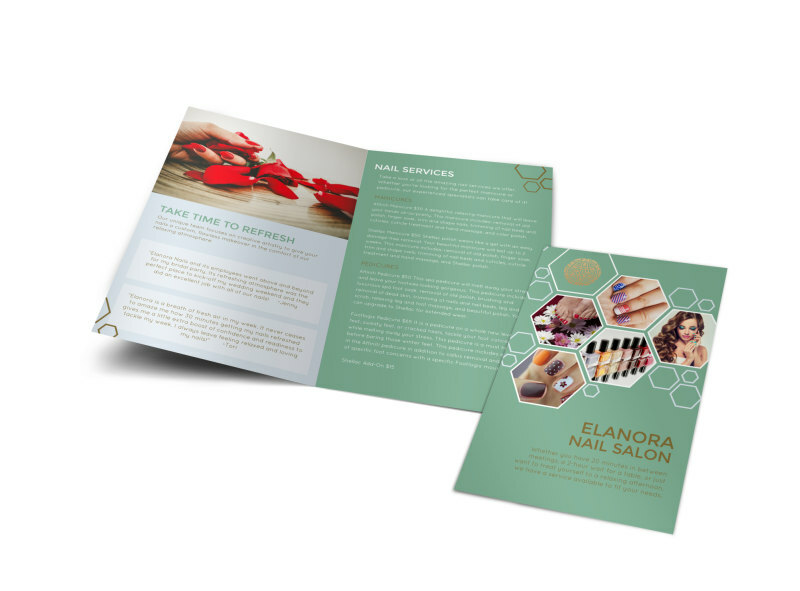 Customize our Elanora Nail Salon Bi-Fold Brochure Template and more! 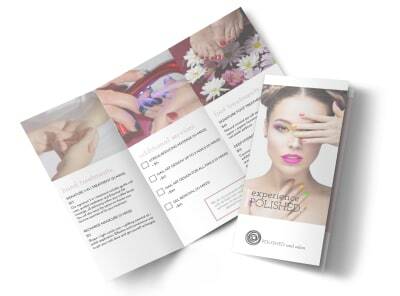 When girls are ready for a girls day out, let them know about your nail salon specials and services with a customizable bi-fold brochure. Use the folds of your brochure to Showcase your handiwork, including before and after photos of manicures and pedicures that you're proud to call your own. Begin designing your bi-fold brochure now, and have it prints ready in minutes.